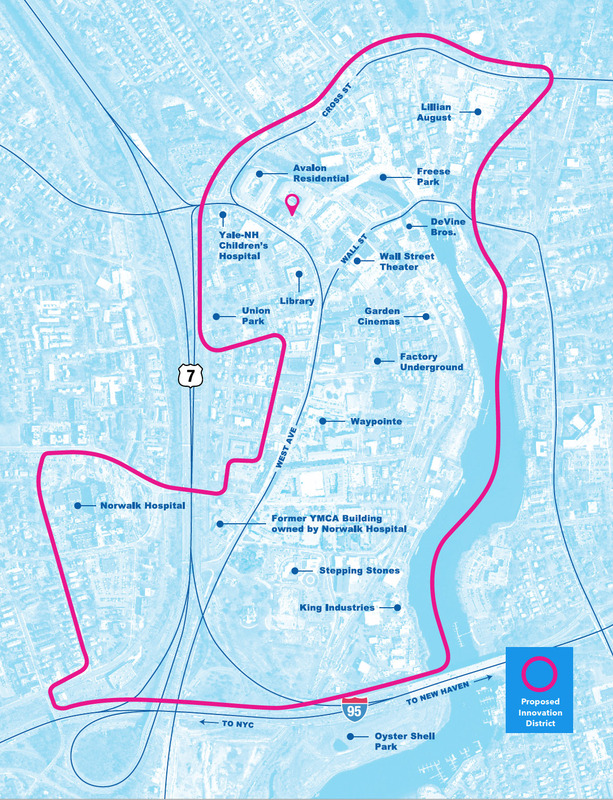 The boundaries of the proposed Norwalk Innovation District. NORWALK, Conn. — Tim Sheehan has responded to critics of the proposal to create an Innovation District in Norwalk Center. The proposed Innovation District would enable tax incentives of up to $15 million over five years for development in Central Norwalk. Sheehan, Redevelopment Agency Executive Director, on Tuesday issued a 2,906-word memo responding to comments made by members of the public at an Aug. 21 Ordinance Committee meeting. Public comments at the meeting were overwhelmingly against the proposal. Common Council President John Kydes (D-District C) on Wednesday drew NancyOnNorwalk’s attention to Sheehan’s comments, which are published on the City’s website, in the information packet for a public hearing scheduled for Tuesday Sept. 4. Sheehan on Aug. 21 said he would respond to the passionate comments from the public. Critics expressed concern about the plan encouraging too many apartments and too many school children. Sheehan’s response says that the Waypointe development, a development along West Avenue, is more than 92 percent occupied but has generated only 25 school children with its 662 apartments. Even with the additional occupants that Waypointe brings to Norwalk Center, the Census Tract still falls far short of the urban density needed to support its businesses, Sheehan said. Sheehan’s reply summarized the state of Connecticut’s economy and noted that municipalities aren’t just slashing their budgets; they are also seeking to increase revenue, especially in the area of economic development. Why on earth would Norwalk want to add more multi-family housing to the area selected for an Innovation District? Several speakers on Aug. 21 objected to the Council considering creating an Innovation District before the new Plan of Conservation and Development (POCD) is complete. Adolph Neaderland said the Innovation District doesn’t seem to acknowledge the POCD effort at all. The POCD survey represents the opinion of the residents who have responded, a small group not representative of Norwalk’s population, Sheehan wrote. Neaderland also asked why Norwalk would move ahead with an Innovation District when it doesn’t have an Economic and Community Development Director. The initiative is under the purview of the Common Council, Sheehan wrote, pointing out that the new Economic and Community Development Director will report to Mayor Harry Rilling, who is obviously supportive of the Innovation District. Some have complained that the Common Council would be responsible for authorizing the tax benefits, with Sheehan’s Redevelopment Agency as an advisor. Applicants seeking to invest $5 million in a development, which would result in large tax breaks, would pay for an economic impact study to be completed by the Connecticut Economic Resource Center (CERC), Sheehan wrote. The Redevelopment Agency would recommend denying a request from a developer who doesn’t really need the tax break or plans a project that does not produce a net positive economic impact for the city, he added. So what about just streamlining the permitting process to encourage development? “Expediting the time between permit and construction does not itself outweigh the project related advantage of a proposed tax agreement. Tax agreements should only be employed when a project can fully evidence that but for the tax agreement the project would not be economically feasible,” Sheehan wrote. What are other communities doing to inspire development? Stamford has three Tax Increment Financing Districts (TIFs) and is claiming success with them, Sheehan wrote. The Aug. 21 ordinance committee meeting where members of the public expressed their concerns was originally announced as a public hearing. The public hearing portion of the meeting was rescheduled to 7 p.m. Tuesday (Sept. 4) in City Hall room A300. The proposed City reorganization will also be a topic. 1. Why consider local tax incentives for development when the state is in a budget crisis? “The State of Connecticut has amassed nearly $80 billion in long-term obligations. Its economic recovery since the recession has lagged that of the nation, job growth remains among the lowest in the nation and only modest growth is projected for the foreseeable future. The three major credit rating agencies all downgraded the state, citing weak revenues. Further, the continuing budget fights and tax increases coming from the statehouse has driven down business and investment confidence in Connecticut. The state’s fiscal condition has caused most municipalities to reduce expenses and contain expenditure growth. Simultaneously, municipalities have redoubled their efforts in trying to increase local revenues. These efforts have been particularly evident in the area of economic development, where incentives have been designed locally to attract businesses and new growth, yielding new municipal tax revenues over the long term (Further explained in question 16). 2. If the City’s land use entitlement process were more streamlined would that not improve Norwalk’s ability to attract broader development opportunities and potentially negate the need for the proposed development tax relief? “Time is money in every business endeavor. It only takes a few delays, inter-departmental conflict, agreement modifications and or a contentious commission to turn the local entitlement process into a nightmare. These delays represent an especially difficult challenge for affordable housing and smaller scale development projects, fundamentally affecting who can afford to purchase/rent a home and who can expand their business. As a result, fewer affordable housing units are built and many smaller projects are curtailed resulting in lost tax revenue. “There can be no argument that the commissions with land use jurisdiction and their staff should be seeking out entitlement efficiencies. Streamlining that process should be an ongoing public policy. Expediting the time between permit and construction does not itself outweigh the project related advantage of a proposed tax agreement. Tax agreements should only be employed when a project can fully evidence that but for the tax agreement the project would not be economically feasible. 3. Why can’t the Innovation District Tax Incentive Program be reviewed in the context of the POCD which is currently being advanced by Planning and Zoning? 5. Why does the Innovation District geography need more multi-family housing? “The Wall Street-West Avenue area is the second least populated Census Tract behind the Silvermine area. Despite recent growth associated with the new development in the area it is still one of the least populated Census Tracts in Norwalk. Urban areas are meant to be dense, walkable, and highly populated areas. Without additional housing, Norwalk’s urban geography will fail to meet the population levels necessary to economically sustain an active urban environment. The Urban Land Institute provides guidance regarding successful local neighborhood business districts and the population required to sustain them. A business district of 100,000 square feet requires a market area population of approximately 30,000 people within one to three miles. By way of comparison the Innovation District geography based on the census has a total population of 1,822. 6. While the Innovation District may be a useful tool, the tool is only as good as those that administer it. What will be the basis of the Common Council’s decision to utilize the tool beyond politics? “Larger tax agreements, which are paired to larger improvement projects (any improvement of $5,000,000 or more), the city will undertake at the applicant’s expense an economic impact study. This study, which is planned to be completed by the Connecticut Economic Resource Center, will provide the underlying basis for the Common Council’s decision. 7. Why is the Innovation District Tax Agreement Ordinance so heavily weighted toward new development? 8. Why is the Common Council advancing the potential of tax agreements when the area was just recognized as a Federal Opportunity Zone? “The Opportunity Zone designation for the district is good news. It does not, however, bring with it direct federal funding or incentives for the development projects being advanced within it. Rather the Opportunity Zone provides a federal tax incentive to equity investors. The tax incentive seeks to unlock potential investor capital that has been withheld from economically distressed geographies because of the higher risk associated with such capital investments. 9. Why is historic preservation not emphasized more given the Wall Street area is a Historic District? 10. Why is the proposed ordinance supporting potential development that the POCD survey participants indicate they do not want? “The POCD Survey was a result of an online survey of approximately 350 Norwalk Residents. Of those respondents, over 60% of individuals were over the age of 50, over 75% were White Non-Hispanic, and over 60% of their households make over $100,000 per year. Additionally, only 51 of the respondents lived in the city’s urban corridor. A majority (over 75%) of the respondents also live in single family homes. 11. Why is there no support in the proposed ordinance for industrial and manufacturing uses? 12. Why is this ordinance not being deferred until the reorganization is complete and the new Economic and Community Development Director is hired? 13. Why does the proposed ordinance not do more for the existing businesses that have struggled to remain in business? 14. Why does the ordinance include the potential to incentivize more multi-family housing, when I hear from people that live at Waypointe that there are entire floors of empty units? 15. Will additional multi family housing in this geography negatively impact our schools which are already overcrowded? 16. What are other Fairfield County communities doing to incentivize development in their urban areas? “Stamford has enabled multiple tax incentives within the City. The most significant of which is their use of Tax Increment Financing (TIF) Districts of which the city has three; South Stamford, Mill River Park, and the new Transportation TIF District. Combined the three districts have had bonding authority in excess of $500 Million as approved by the General Assembly. Stamford Economic Development Director Thomas Madden said, ‘We’re one of the most successful cities using TIFs.’ Other economic development incentives include but are not limited to Enterprise Zone benefits, Entertainment Zone benefits, Land Tax Credit Donations, Green Buildings Tax Credits, Renewable Energy Tax Abatement, and Urban and Industrial Site reinvestment Tax Credit. Some of these have also been enabled by CGS 12-656. (http://www.choosestamford.com/incentives). “Further, Bridgeport has enabled multiple tax incentive programs. Bridgeport and the state Bond Commission used TIF financing for the site development costs for the Steel Point project, home of the Bass Pro Shop, with $22 Million in TIF bonding issued by the state being paid by future sales tax revenue. Bridgeport also has Enterprise Zone benefits, a Bridgeport Urban Enterprise Zone Program, and a Tax Incentive Development Program that specifically uses CGS 12-656. (http://www.bridgeportct.gov/oped/Taxincentives). 17. What is the statistical basis for determining this geography needs potential development assistance? How can a Norwalk taxpayer even trust that this will be properly administered when our city fathers have completely butchered Poko. They’ve did such a good job with that lets give them more money to spend! Show us you can clean up that mess first and then maybe we can talk about innovating new ways to spend tax payer dollars. Then again maybe they want to use this proposed program for that? If this is 2,906 words – how many were written for Poko? Single party rule, closed door executive sessions, gag orders and taxpayer funded lawsuits has not generated any trust with this administration. This is not an Innovation District, this is more fortress apartments on the taxpayers’ dime. The proposed process is the biggest problem. Some of the arguments for tax incentives have merit. Who gets them and for what is at issue here. TIF’s & Enterprise zones that are employed in Stamford, Bridgeport, New Haven have very clear rules and are open to everyone regardless of size or political connections!! 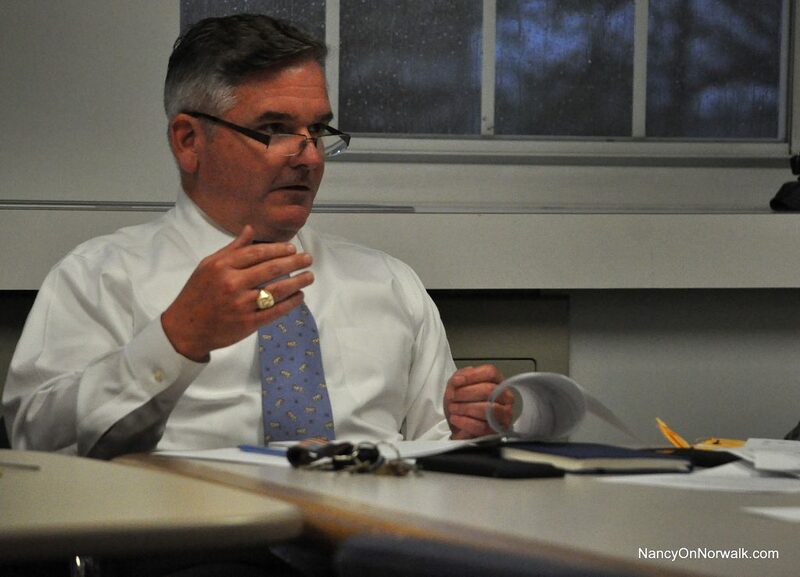 Norwalk’s proposal has vague, murky guidelines. ONLY the politically connected will get them, and not necessarily for projects that the city wants or needs. Norwalk’s current regulations already highly encourage large-scale projects for people that are connected. Adding an economic study requirement sounds ridiculous. City Hall has enough studies to fill a concert hall! POKO had tons of government involvement, lots of studies and is a gigantic failure! Many of the same players want to try the same ideas again. I agree with Ernie-Show us you can fix POKO before we give you more control & discretion! I also call BS on the statistics. Only 1822 people live where exactly? Between all phases of Waypointe and Avalon there are 1822 people. Proposing an Innovation District without a highly experienced economic development professional staff with major credentials in large City experience is a recipe for failure. Especially in a City overseen by a Mayor who has neither business experience nor evident business management skills. The Reorg Plan speaks powerfully to the absence of basic business skills. As does the Mayor’s early hire of an Economic Director from tiny Newtown (pop. 10,000) where there was no economic development. Given the Mayor’s determined avoidance of using Prof. Search to hire Top Talent there’s every reason to doubt successful execution of this project. Ditto for our Rubber Stamp Common Council. There’s a large literature on successful Economic Directed Development by cities across America. First and foremost it requires serious professional skill sets. Norwalk’s City Hall management lacks those skill sets. Whether it can acquire such skill sets remains unknown. To spend $15 million given the management and business skill limitations evident in City Hall is unwarranted. We can be fairly certain this issue will be discussed extensively in the forthcoming Mayoral elections. In a word such development activities require extensive professional competence. And that’s been a problem at City Hall under the current and previous administrations. Which is why our Grand List has remained unchanged for nearly a decade. Thank you Tim Sheehan for the thorough response based on facts, not misinformation we are hearing a lot of these days. Every Common Council member should read his response thoroughly before they vote “Yes” for the smart Innovation District next week. I support the Innovation District because it is smart planning for Norwalk’s future to help bring much-needed investment and high-paying jobs back to our struggling West. Ave/Wall St. corridor, with a concentration on healthcare, science, and technology. I have travelled across the country in recent years on car trips, visiting vibrant, recovering cities in all parts of the country, even in deep red states like TX and AL and OK and IN. These cities are the economic engines for their regions, drawing young folks and retirees from the quiet boring suburbs to once struggling downtowns where folks want to live now in walkable, bikable, and culturally rich neighborhoods. What these cities have in common is that ALL of these places, even in the deep red states “small government” states, are using tax incentives to lure quality investment into the their once-empty and struggling downtowns. It works by building the grand list and paying for itself with increased tax revenue that accrues quickly, which is why everyone is doing it! Sitting still and doing nothing while waiting around for investors and jobs to just show by some kind of divine intervention , which is what some opponents naively think will happen, will not happen in this new economy where competition is fierce and businesses and investors go to where they can get the best deal. Offer nothing, and they’ll move on. Norwalk risks letting the investment parade pass it by as investors and start-ups move on to our surrounding cities who are looking ahead to the future and not stifling development with squabbling by folks with often dubious political and personal motives, or as my friend Ernie Des Rochers pointed out in his comment, with petty punitive intent. Thats right, there are those who would throw our future away because they want to teach that big bad RDA a lesson, for the untimely bankruptcy of a developer who tragically passed on in the middle of the project from a fatal disease that was out of anyone’s control. One desperate opponent even suggested in a NON comment on another article that the city might have a secret plan to use the Innovation District to expand our sanctuary city status. Not only is that absurd, it is blatantly racist to even suggest it. This is how low some folks will go to make sure they get their way to hold Norwalk back, and the Common Council must reject these kind of arguments based on fear and ugly instincts. The Common Council should reject this petty nonsense and instead embrace this kind of smart planning that other forward-thinking cities across the state and country are implementing. Voting no for the Innovation District will be the biggest mistake this Common Council could make, at a crucial time in our recovery when downtown Norwalk is poised to finally recover from decades of decline and disinvestment, and instead gain its full potential as a vibrant and economically sustainable city drawing talent and high-paying jobs. If it isn’t working after a couple of years, re-examine it and make it better or change course, but doing nothing at this point in time as the economy is expanding is NOT an option. Please don’t screw this up because some folks seem to just always want Norwalk to be the “hole in the donut”, or they simply fear change. Norwalk has always changed in its 367 year history, and we are finally poised for some innovative and smart change to finally recover from the flood of 1955 and suburban flight that doomed our struggling downtown for decades. Now is the time to change that “hole-in-the-donut” perception, and change our future for the better, just like other smart cities are doing now all over the state and around the country. Hmm so POCD is not applicable because of 350 wealthy nonhispanic people most of whom do not live in this particular area. Ok, but, question – has the City canvassed the opinions of the official 1,822 people who live in this area? Would that be even enough people to take their opinions seriously? Have they gone door to door? Are the surveys provided in Spanish, or other dominant languages of the area for ESL speakers? Have there have been meet and greets by city leaders in this area outside of official public meetings like hosting events at area restaurants? If you look at the history of how American cities and towns have treated marginalized minority communities, gentrification is the usual result with all of those poor people getting “kicked out” because of economics – higher rents, higher expenses. So, sure, play that card if you want, but isn’t it ironic that most of city government is composed of nonhispanic people who earn more than $100,000 a year? How does YOUR background entitle you to speak for this community by proposing this Innovation District? You don’t live there either, right? Seriously? The same people that brought us POKO and the outrageous property tax abatement for a mall now want us to trust them with more tax breaks for insiders. This is such a joke. Stop the INSIDER deals! It is only going to result in normal investors running for the hills. Not one city or town has Rillling Sheehan or any of our council members that would hamper success. Sheehan cant even get Ryaon park right and we want to trust him with more money? Its time to ask what projects are over budget poorly run and ill timed. Why is it someone who was never elected has so much power with our money. Whats does sheehan pay to Norwalk in taxes? Honestly the RDA gas shown gross negligence on all fronts on just this one project using smoking mirrors to a point where rookies like myself are now working directly with the EPA and State DEEP. by the way Tom Ivers as good as he his according to his resume is, Environmental remediation is not one of his fortes why is he even near this stuff? This Ryan Park deal is not working out the way Mr Sheehan expected it to, make matters worse the State and the EPA cant weigh in until they get the final disposition and paperwork from Simpson. Meanwhile the city has gone ahead with NEON. Is this what kind of professionalism the taxpayers voted for when they sent Harry to the corner office? There is profit in confusion and the taxpayer have not saved a cent by the looks and sounds of it. Just take a long ride around Norwalk battling traffic, you will see plenty of new apartments. The developers do not need any tax incentives to build apartments. What I thought was “innovative” was bringing the Tyvek World Headquarters to Wall St, but then I realized that wasn’t what happened. It seems to me that the argument about POCD input coming from a non-representative subset of Norwalk residents is meaningless. Look at any indicator of civic participation in Norwalk — including who runs for Common Council and BOE — and you will see mostly older, white, single-family homeowners. If we want more input from a younger, lower-income, more racially/ethnically diverse population we need to do a better job of reaching out to those residents, but in the meantime we have input from residents who made the time & effort to show up and participate in the POCD process. That input should not be swept aside. Elsa , Stantec has been working the city for the new Mall owners they have worked well together in their Canadian offices over the years GGP no longer owns the mall. This POCD was designed by and for the RDA giving residents input was simply a pony show. I said it from day one it was the largest most costly scam the city played on its taxpayers in years. 1. This scheme offers no benefit to taxpayers. Renters pay no tax. Residential developers RECEIVE our tax money, and then benefit later from reduced assessments at further expense to taxpayers. 2. The guys responsible for the Tyvek building, the guys who spent our money on an arrangement whereby the developer’s death permanently derailed the entire misbegotten project are driving this latest pile of nonsense. Actually, it’s been stated that money shortfall would have stalled POKO irrespective of other considerations. This is sad not even Democrats are agreeing on where this space ship should be docked. Great coverage, Nancy. Thank you. Excellent points, Rem. Mr. Sheehan’s answer to Question 10 is something else! Way to go, Mr. Sheehan, on dismissing/marginalizing the input of residents who actually took the time to engage with you on the POCD Survey just because a percentage of a demographic group did not! It appears that as a result, Mr. Sheehan is going to make the decisions for this group rather than proactively seek them out for opinions, and discount the feedback of the actual participants. Nice. Answer to Question15 is questionable: “Multi-family housing units have not produced significant amounts of school children to the Norwalk School Districts.” Of course they have. For his response, Mr. Sheehan has only provided numbers data on the developer departments within a certain area of Norwalk and not the numbers data on multi-family houses all over Norwalk in different neighborhoods. Collectively, these units do produce significant amounts of children to the schools. I challenge Mr. Sheehan to step into any Norwalk homeroom in any school and ask the students how many of them live in a multi family-house. It would be an eye opener for sure. A major issue highlighted in it is the problem of large amounts of tax exempt land in the big cities that is imposing an unsustainable burden on other taxpayers. 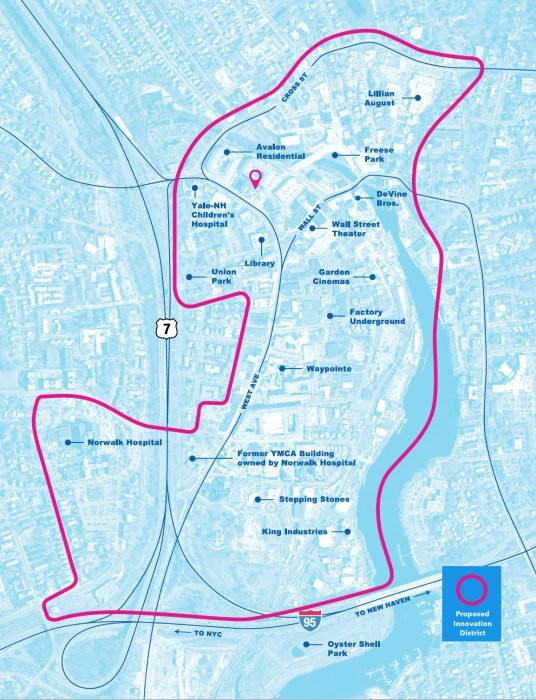 This innovation district will only put Norwalk further along that trajectory to which we are already almost at a tipping point given the mall’s enterprise zone abatement and many other tax exempt properties we have that our neighboring towns don’t (hospital, public housing, bus depots, DMV, rail and highway infrastructure, etc). And yes it is astonishing the way Mr Sheehan dismisses the POCD public input. This would be one thing coming from an elected official who we could in turn vote out of office for such an indiscretion, but he is not elected and nor in any way represent the taxpayers of Norwalk who are the people who provided that input and will be paying for this Innovation District madness. Mr Sheehan goes on at length about using some of the same incentives Bridgeport has. Is that the path we want to follow? NO THANKS! I am quite certain we did not elect Sheehan to take us there. Are you trying to filibuster? Your comments on the innovation district have been as long as the other comments combined. We get that you love this administration that has appointed you to your public role. It is possible to understand & support economic incentives and at the same time oppose this attempt to use tax incentives. Trying to compare this proposal to other straightforward TIF programs is either ignorant or dishonest. You don’t strike me as ignorant. Happy to discuss further publically or privately. As you know I have reached out to you about this and other matters over the past several weeks and have yet to receive a return phone call. Why is that? Happy to discuss even if we disagree. Mike is excited and is looking fore wood to having a real vibrant community center in SoNo. Meanwhile the RDA has made life miserable for everyone in South Norwalk including but limiting their attack’s on the Zion French Baptist and Grace churches with the plan. These churches not only embrace the communities elderly but the disadvantaged and disabled but they have done it without a dime from the city. They cloth they teach feed they provide sanctuary for everyone. I was recently insulted to what can only be termed as a wave of administration love disguised as administration destruction. The RDA has made life so miserable for the churches one described the attack by the RDA as relentless while working on Ryan park. We can see the city has moved on Wall st again and can only be characterized a hostile takeover where one of churches feels, the RDA has made life miserable so then offer a church a way out for another high rise. This is the city we have gotten to know, they are not stopping with Wall st but have moved to Spinnaker country in South Norwalk and are moving generations of families out with a broom. Im not sure moving on religions is a smart city hall policy it has made more than the activists jump into high gear. a once vibrant community even under Moccia the city was safe from the machine. once vibrant we have a half way house in the middle of what once was Quintard farm now its a Bridgeport surrogate pushing those 80 year olds left out the Mayors,s team has destroyed the once tight community into a city wasteland. I made a comment to a reporter come see how the city destroys a neighborhood the Mayor did that now his focus with others like the Village creek candidate is to level South Norwalk along with East Norwalk. Rowyaton heads up your longer safe the administration is running out of spots to destroy your next unless the move has been made and you wont know until after the election that the Duff brigade has struck. No one is safe East Norwalk realized this after the last administration assault. There is no safe corner in the city anymore. What is going on is the non elected have been given a goal yet they needed to hurt their own party, they have lets see what the push back will be the religious community has been attacked . We all have seen what they have done to Wall st and yet the brass ornaments have gotten bigger the council is not aware how pathetic they have become marching behind the administration . All we see now is arrogance , grabbing control of anything in its path not even the the lifelong Democrats are approving who is targeted. Wall st was ok it was a test take Wall st and the rest will be easy. Shame on them all those splinter groups now have something in common be its them or us. Some of us are no longer dealing with the city anymore the Feds and the State answer their phones the city has gone from $60,000 to $600,000 dollar mandated jobs Bob in Hartford can’t fill the holes fast enough. Washington Village has just doubled in cost the city has been placed on notice , Norwalk you now have to play by the rules I can’t imagine the cost of Wall st not increasing to a astronomical figure no one will cut the RDA any slack. This is what happens when your business plan is based on arrogance it catches up to you. Jason our hat is off to you we will not discuss we will now fight some of us have had it’ the energy we use to put into Civil discourse is over we have been attacked. Wall st has become Paul Revere city hall has become Benedict Arnold oddly enough he came from Ct.
so the abundance of car seats coming out of Waypointe are for wives who don’t want their husbands picking up strays? Sue the figures we hear defy police fire emts and other services going into new high rises. Have you ever thought about the conditions of housing where you say the kids are coming from? Its easy to argue fact when not taking the time to research them. Today bus stops are full kids not counted into the system I bet are showing up all around the city. Its not easy keeping your eye on the ball when others keep it bouncing to fit their argument. The bus stop at the end of m street pick up for many schools some outside of the city what if those children commuters on the train bus and cab decide Norwalk is the school of choice does the city count them as all before they make that leep? What I find wrong with some city officials they dont lie they just dont tell what they know , just what fits the picture they are painting. Its like asking the state to pump the water out of Washington village it was only after it was done and the state said yes did they realize asbestos and ground water from a PCB site was present that the city admitted they forgot to mention. The same RDA that forgot to mention the water is the one your backing. I think it’s time to get rid of the RDA. This latest move by Sheehan will rob Norwalk of $15M that could help fund our BOE and Students. To that I would just say that tax payers actually have to subsidize affordable housing so the loss of it is surely not a loss to tax revenue. So ONLY projects that are economically unfeasible will be considered. That’s right folks, our RDA is going to bring us a bunch of economically unfeasible projects. That means we can expect more bankrupt buildings like the Globe theater and Poko going forward. Do we really want to promote economically unfeasible businesses in our community? Above all the RDA has demonstrated beyond all doubt that they are incapable of determining the economic feasibility of a project and should not be given such responsibility. In fact no government entity should have to make this determination. Developers will cry that they can’t harvest a profit margin and the RDA will fall for it. Worst of all it happens in executive session so the public won’t get to see how badly we are being taken. If he throws in the towel and sells, at least we still have the refurbished-with-state-grants $10 mil 1000-capacity Globe, where you can see amateur shows or an occasional tribute band. Question : Why has the Lohmans plaza construction stopped what the hold up ? I love how Sheehan selectively chooses his statistics … there are another 40 students in the two Avalon complexes and one of his “only 7 students” is an out of district placement that costs us tens of thousands of dollars. Why doesn’t Sheehan spell out the actual tax revenue from these projects AFTER tax credits??? Have we EVER seen these numbers? Why have we seen no Grand List growth despite these 1,000 apartments??? And since Sheehan seems to be such an expert on NPS enrollment growth, where are all of these increased students living??? NPS enrollment continues to grow and continues to exceed the most optimistic projections of the professional demographers we hired. It does cost us $16,500+ per student to educate (SPED and English as a Second language is materially more) so everyone of these incremental students costs real money. A careful reading of the “Development Director’s” comments ought raise all sorts of red flags. The City Hall plan is hardly a professional prevention. Not surprising since the City lacks major league development professionals on its staff. A stagant Grand List for a decade with only a business sector comprising 10$ of that Grand List illustrates the inability of City Hall to attract business to Norwalk. Illustrating the lack of confidence the larger business community has in the “Norwalk Team”. A “competent” presentation would devote full resources to attracting new businesses offfering good jobs to City residents. Not more benefits to the Mayors Developers. We’re seeing a repeat of the Mayor’s embarrassing “Economic Director” from tiny Newtown here. And his Reorg Plan. Competency is a serious problem in Norwalk. The appropriate way to proceed is for our Mayor to hire a well recognized consulting firm with major league experience. And then develop a plan for thoughtful City preventation that wouldn’t embarrass our City. That our Common Council doesn’t recognize the lack of competence here as regards business development is a serous deficiency remediatable only at election time.